The Serene Garden Bundle is just perfect for those who like highly stylised stamp sets and oriental type cards, and combined with the coordinating Garden Scene Framelits Dies, offers the opportunity to create really stunning cards that cannot fail to impress the recipients. 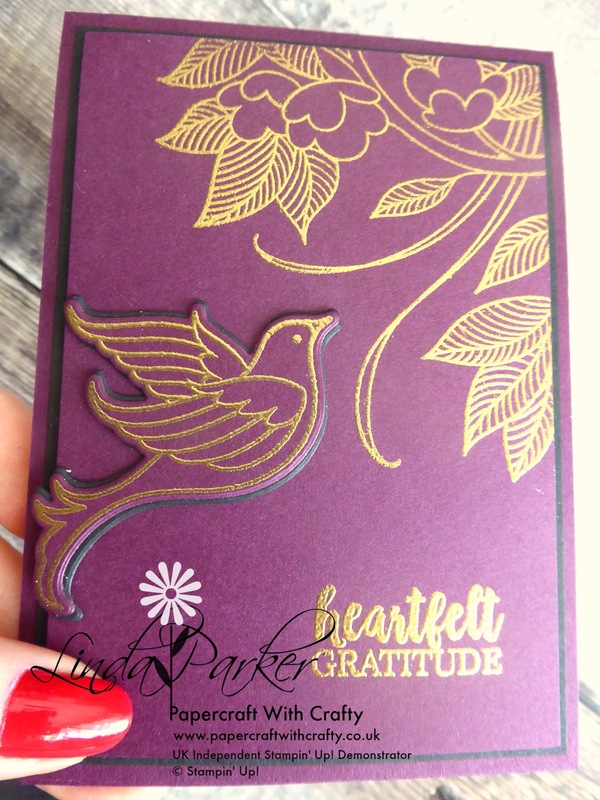 I decided to opt for a very rich, luxurious colour theme for my card today, and chose gorgeous Blackberry Bliss card stock, which has made a very welcome return following Stampin' Up!s colour revamp. Teamed with black and gold, I think the combination is just very eye-catching. There are no sentiment stamps included with this stamp set, so I chose one from the A Big Thank You photopolymer stamp set. Hope you like it. Thanks for looking and I would love you to pop back. 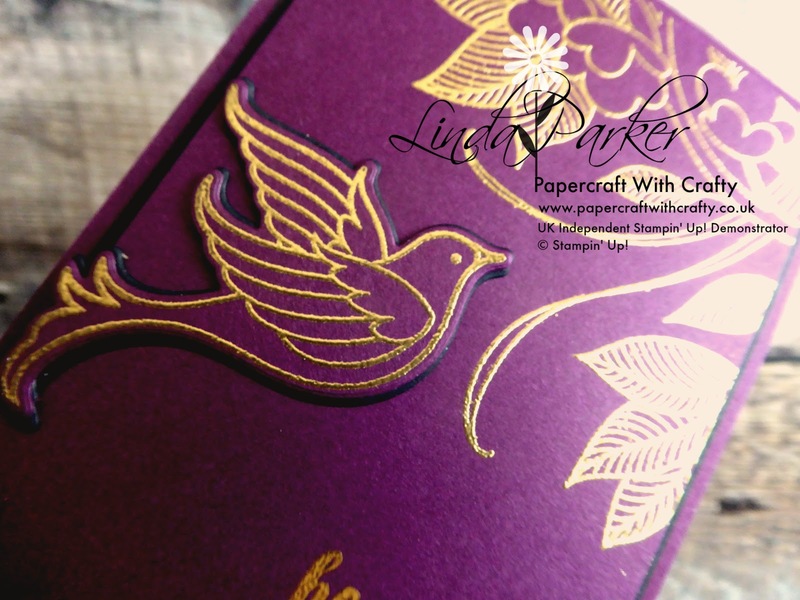 Gorgeous card and I like the colours you used very much. What a stunning card! Your color choices make it a real winner!